Directed by Andy Goddard. 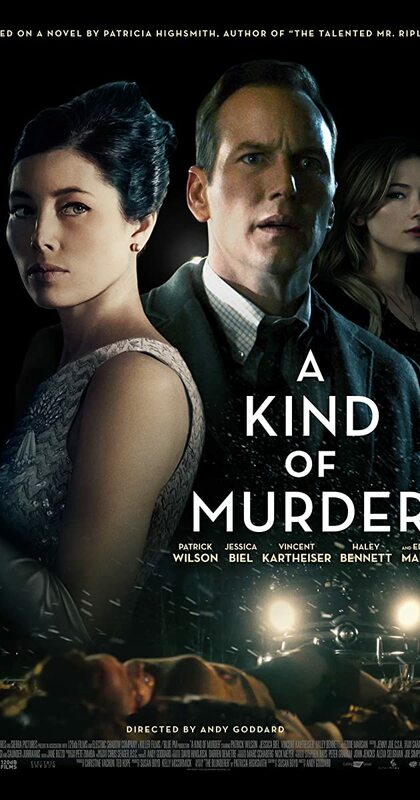 With Patrick Wilson, Jessica Biel, Haley Bennett, Vincent Kartheiser. In 1960s New York, Walter Stackhouse is a successful architect married to the beautiful Clara who leads a seemingly perfect life. But his fascination with an unsolved murder leads him into a spiral of chaos as he is forced to play cat-and-mouse with a clever killer and an overambitious detective, while at the same time lusting after another woman.